The following merchants are advertisers or affiliate sponsors of Just Bento. Regardless of our business relationships with these companies, we’ve personally ordered from them, and have always been happy with their service. We think you will be too! Note that some products links on the site are affiliate links. Clicking on these links to make purchases helps to suppor Just Bento, paying for the server and such, at no extra cost to you. And I will never, ever put up a link to a site that I haven’t personally used as a regular customer myself. Bento & Co. is based in Kyoto, and is owned and operated by husband and wife team Thomas and Erico. They have an ever growing selection of high quality bento boxes and accessories, from sleek modern designs to handcrafted wooden boxes. All of their bento boxes are made in Japan, and their accessories are either made in Japan or designed by a Japanese company. I’ve been a longtime customer since I love their taste, and am always happy with their shipping speed and communication. Also in French. Ships worldwide. Official blog (in French); Twitter. JList.com/JBox.com - “Your Friend in Japan” has a big selection of bento gear, with many different kinds of bento boxes, from the cute to the elegant to the practical. They are also a great source for cute and weird Japanese toys, snacks and well, ‘stuff’. They ship worldwide. I have been ahappy customer of J-List for many years. CasaBento carries a wide selection of bento boxes of various styles (cute, traditional, modern), accessories and supplies, as well as kitchenware. Of special interest to Europe-based bento lovers is their selection of reasonably priced 220V rice cookers from Zojirushi. They ship worldwide, with inexpensive shipping charges, especially in Europe. Quoted shipping times: 2-3 days to the UK and Europe; 5-8 days to the U.S., Australia/NZ, and other countries. The online catalog is in English, French and German; Twitter. All Things For Sale offers many affordable bento boxes and accessories, including the ever popular Lock & Lock range. $6 flat rate shipping in the U.S., also ships worldwide. Monbento is a French company that makes sleek, colorful modern bento boxes and accessories. All the bento boxes are microwave and dishwasher free. Also available on Amazon. People have mixed feelings about eBay, but there are many good bento goods merchants there. This page is a continuously updated list of bento-related listings on eBay. I need to update my Amazon.com (US) and Amazon Japan aStores. It would be an understatement to say I have been a long-time customer of Amazon - not just Amazon.com but Amazon Japan, UK, France and Germany. I couldn’t live without them! 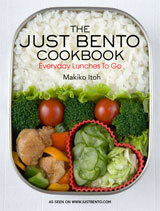 Amazon US - Bento making equipment, bento boxes, books. Amazon Japan - Bento boxes that are unavailable outside of Japan, bento books in Japanese, etc. (You can purchase bento boxes and other supplies from Amazon Japan and have them shipped to you via overseas shipping services. Where to buy bento boxes and accessories, which lists additional merchants who sell bento boxes online, as well as tips for looking for bento boxes locally, using shipping agents to shop from Japanese sources, and more.